I know I've used enough cheap metaphors for one lifetime on this Homeric odyssey already, but the "Circle Of Life" definitely fits. 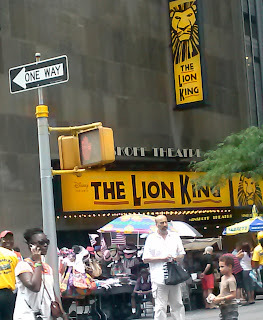 We went to see The Lion King on Broadway today. My daughter said it was "better than the movie." My son said he didn't like it, but was riveted throughout. As for me, I thought it had great Broadway production value, choreography, and puppetry. But the play was 2 1/2 hours, whereas the movie (I checked IMDB) clocked in at 1:29. That's just too long, fully one-half of a 5-Hour Energy. "How can I go back? I'm not who I used to be." There are too many connections for me while having my kids with me in New York City. I lived here from 1996-2002, but it seems like a lifetime ago. The sights of smoke billowing from a manhole, the smells of a pretzel stand, the taste of a slice of pizza, the agony of a stagnant and overheated subway stand - they all tap into whatever part of the brain that links to memory. The kids don't have those memories and will likely never know them. This part is my journey alone. So I went AWOL for a couple of hours to the old Upper West Side before meeting a friend for dinner. And at 96th & Amsterdam, it was still there. 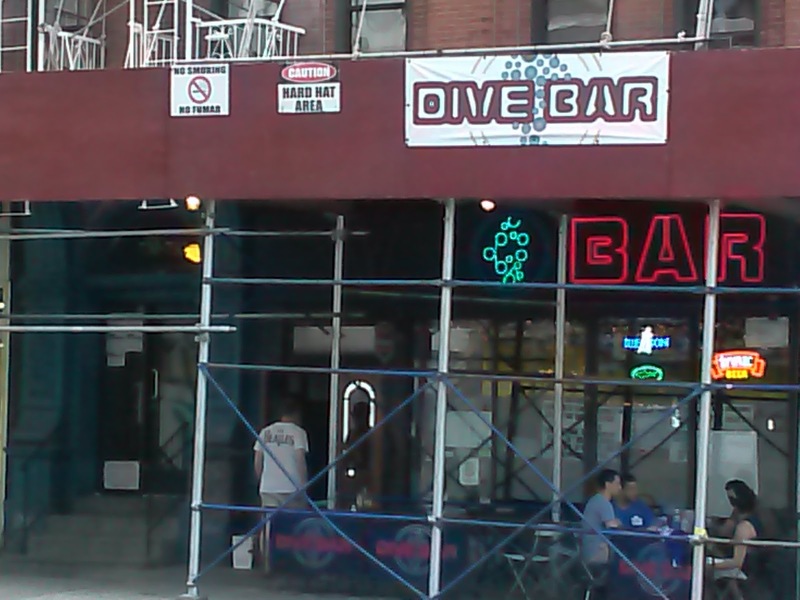 The Dive Bar was getting a facelift on the exterior but it was pretty much the same on the interior. 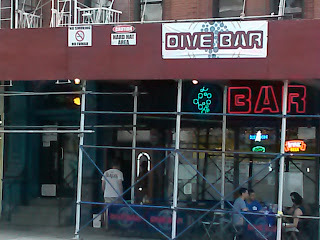 It's really anything but a "dive" with whiskey and beer selections that can be sampled for weeks. The Yankees were playing the Red Sox and it brought back a flood of more memories - how many baseball games did I watch there? There was also a legendary high-stakes Super Bowl pool, and I watched several of the big games there. But more than that, it was my spot around the corner. A place to meet friends or kick back after work or just think. There hasn't been a place like this for me in Omaha or Kalamazoo or Savannah, but of course life is different now with new responsibilities. But every once in a while you can sit on a barstool and relive the past in your thoughts, and come back to the same point in your circle.